Sony and others 3rd-party developers announced many new games for the PS4 console at E3. There are way too many upcoming games for the PS4 for this year. Some are long-anticipated titles whose predecessors have shown that the sequel is worth the hype. Other games will have to be released and get reviewed by critics in order to show PS4 owners that the game itself is worth buying. But as know, there are plenty of PS4 games that can be easily put in the top 10 best PS4 games for this year. If you’re not sure which PS4 games you should start saving to buy this year, here are the best games that will come out for the PS4 in 2015. While having inferior graphics and a very glitchy environment compared to most games released in the same year, Fallout 3 managed to become Game of the Year and was placed top game of 2008 by IGN. Now because of this, there are very high expectations for Fallout 4. Fallout 3 had an interesting story and many interesting side missions. The game will only be available on eighth generation consoles which include the PS4 and the Xbox One as well as the PC market. Fallout 4 will not be available in previous generation consoles like the PS3 and Xbox 360 – and that’s a good thing. Bethesda will not have to waste resources for previous generation consoles nor will they have to dumb down the game in order to have it released on older consoles. They will be able to take all hardware advantages the PS4 and Xbox One have. 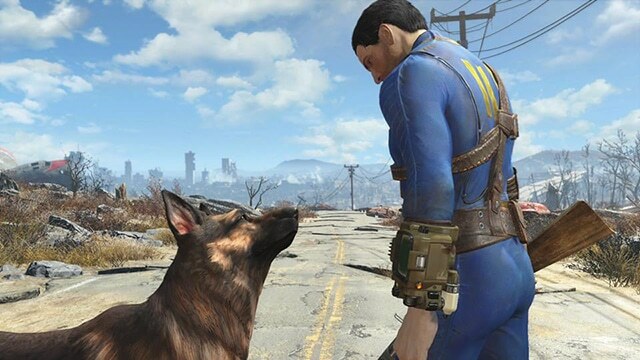 Just like its predecessor, Fallout 4 has a very likelihood of becoming game of the year. Bethesda confirmed the release date to be November 10, 2015. If explosions and blowing stuff up is your thing, then Just Cause 3 is a game that you’re likely to buy this year. Just Cause 3, developed by Avalanches Studios, features “over 400 square miles of complete freedom from sky to seabed and a huge arsenal of weaponry, gadgets and vehicles.” You will be able to use your Grapple and Parachute to scale buildings, hijack vehicles, move quickly or tether objects together for creative new ways to cause Chaos; Cause massive chains of destruction in military bases, harbors, prisons, police stations and communications facilities to bring down a dictator; Arm yourself with a wide range of explosive weaponry from shotguns and missile launchers to tank-busters and air-strikes. Just Cause 3 is set be released on December 1 of this year. 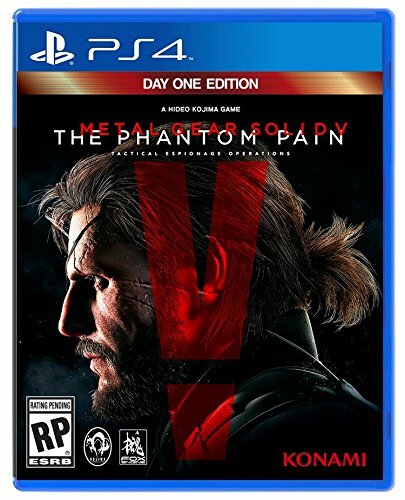 Serving as a sequel for Metal Gear Solid V: Ground Zeroes, Metal Gear Solid V: The Phantom Pain is one of the most anticipated game of this year. MGS goes open world with The Phantom Pain. The game is 200 times the size of its predecessor Metal Gear Solid: Ground Zeroes. You will play in the vast regions of Afghanistan and parts of Africa with teal-time weather that changes as time passes. The game will come with more new gameplay systems including deeper stealth action, realistic passage time, buddy system, and the cardboard box will be back. The online mode Metal Gear Online will be back allowing players to compete in 6v6 or 8v8 team combat. Metal Gear Solid V: The Phantom Pain is set to be released on September 1, 2015. A game which will undoubtedly make EA millions upon millions of dollars is Star Wars Battlefront, the third major release in the Star Wars: Battlefront franchise. The game was announced at EA’s E3 2013 press conference, along with a teaser trailer. On June at E3 more details along with a gameplay trailer was shown to the public. 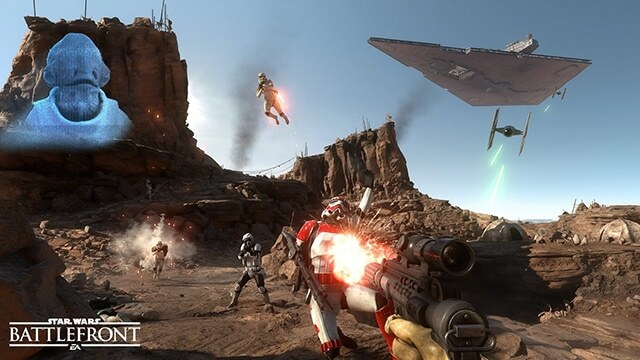 Star Wars Battlefront will feature Co-Op missions for offline and online multiplayer. Players will have the ability to seamlessly swap between 1st person and 3rd person views. Characters such as Darth Vader and Boba Fett will be playable. Star Wars Battlefront, developed by EA DICE, will be released on November 17, 2015. 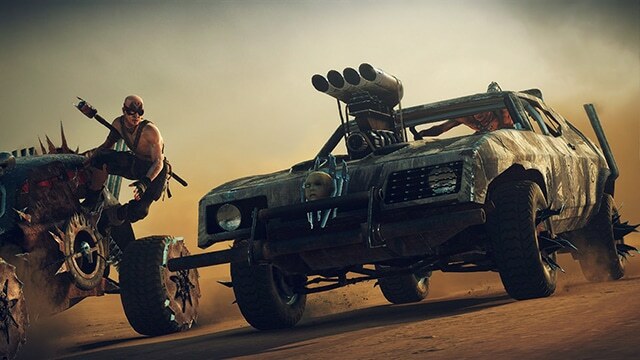 Another open world game developed by Avalanche Studios, like Just Cause 3, that will be released this year is Mad Max. Mad Max, like Fallout 4, is set in a post-apocalyptic wasteland environment. The game is based on the Mad Max film series which mostly focuses on vehicular combat throughout the desert. Players will have the ability to customize combat vehicles as they progress in the game. Mad Max, published by Warner Bros, will be released on September 1, 2015. Hitman will be the first PS4 and sixth game of the Hitman franchise. Instead of calling it Hitman 6, the game will be simply Hitman. Agent 47 is back, he’s in his absolute prime, taking down high-profile and powerful targets around the world. How to get to those targets, how to take them down, and when to strike — it’s entirely up to you. We provide the sandboxes and the necessary tools, you provide the creativity. And, of course, Contracts Mode is also back, and PS4 owners will exclusively get 6 Unique Contracts! Hitman will be digitally released on December 8 of this year. With The Last of Us, Sony showed that their developers have a great capability of creating developing survival horror games. It became one of the best-rated and most sold PS3 game of all time. 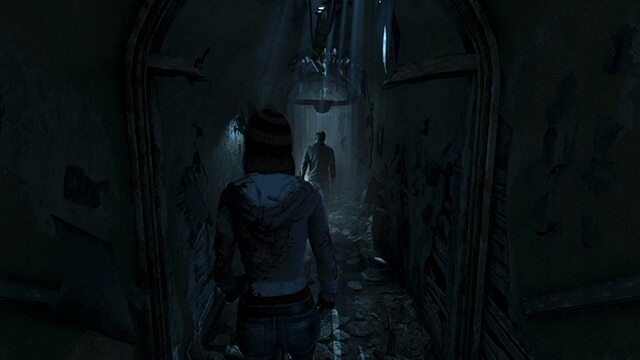 This time Sony will probably have the same luck with its new upcoming survival horror game, Until Dawn. Until Dawn, an exclusive PS4 game developed by Supermassive Games, is set to be released on August 25, 2015. Players will be able to make decisions either good or bad which will affect future consequences later on the game. This year, EA will published its second Need for Speed game for the PS4, after releasing the first one on November, 2013. The upcoming Need for Speed racing game is currently being developed by Ghost Games. The game will feature a deep lever of vehicle customization, authentic urban car culture, a nocturnal open world, and an immersive plot. Players will be able to upgrade parts that increase the performance of the vehicle. These parts include engine, exhaust, suspension, force induction, transmission, and tires. Users will also be able to alter the visuality of the cars. Need for Speed will be released on the PS4 on November 3, 2015. Final Fantasy XV is an action role-playing game developed by Sqaure Enix. This game has been in developed even before the PS3 was originally announced back in 2006. It’s expected to be released by the end of this year.